There have been important changes to China’s animal testing policy recently that I need to share with you. I discuss the latest change to post-market testing in China, and what that means for brands like NARS, MAC and Estee Lauder. I also discuss the changes in Australia. The Australian regulator won’t accept safety data gained from animal testing after next July. Do you love to shop cruelty-free? I make it easy to shop cruelty-free during Ulta’s 21 Days of Beauty Sale! Does This Mean All Brands Selling in China are Now Cruelty-Free? No, this does not mean that all brands selling in China are now cruelty-free. China has ended post-market testing of cosmetics. That means that the Chinese government will no longer be pulling random products off shelves to test on animals. Pre-Market testing in China is still in effect. This means that beauty brands that import their products to China from other places like the USA are still tested on animals. Does this mean MAC or NARS are cruelty-free again? No. Brands like MAC, NARS, Estee Lauder, L’Oreal etc are still subject to pre-market testing of their products. Pre-market testing on animals needs to be eliminated in China. Global Cosmetics News shared this important tidbit of information. They reached out to Cruelty Free International for clarification. What’s Going on in Australia? The Australian government passed a law preventing Australian companies from relying on data from animal testing for ingredients to be used solely in cosmetics. Who Made the Law Possible? 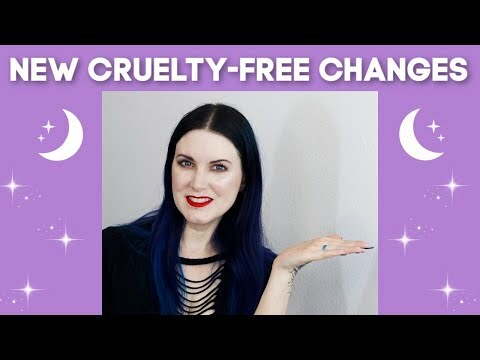 This law was pushed by #BeCrueltyFree Australia, a partnership between animal charity Humane Society International (HSI) and not-for-profit organization Humane Research Australia (HRA), which has campaigned since 2012 on the issue of cosmetics cruelty in Australia. What Impact Will the New Law Have? The new law doesn’t directly prohibit animal testing of cosmetics. It bans the results of any data collected from animal testing after July 1st of next year. The new law will only permit safety data from testing on industrial chemicals that are for sole use in cosmetics if that testing is not performed on animals. The new Australian law will provide a disincentive for companies to test on animals. Will This Law Apply to Medical Products? No, medical testing is exempt. Need Help Finding Cruelty-Free Brands? 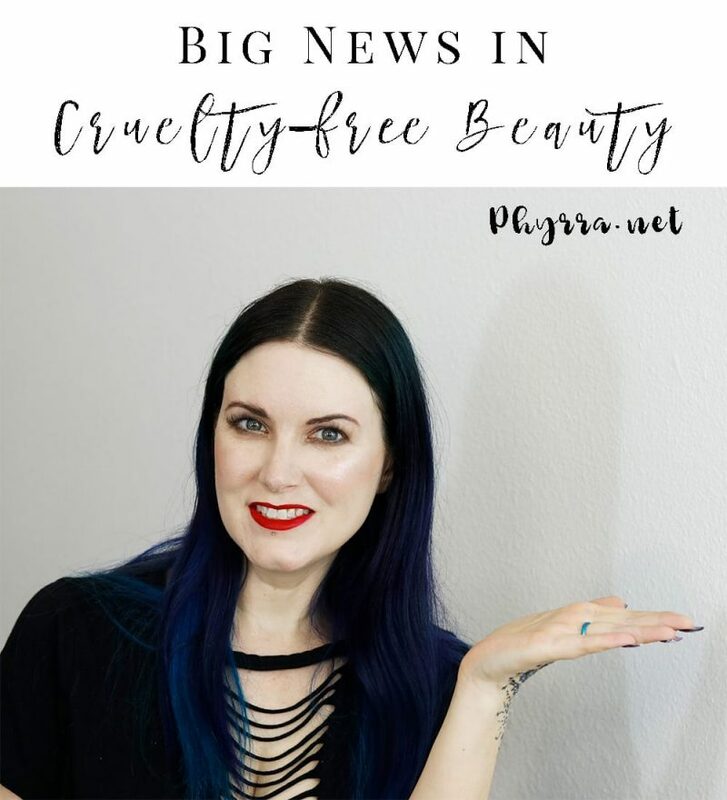 Check out my Cruelty-Free Brands List that I update frequently! It tells you which brands are Leaping Bunny certified, vegan, or have a non-Cruelty-free parent company! It’s easily searchable too! I see both the Changes to China’s Animal Testing Policy and the changes to Australia’s animal testing policy as positive steps towards a cruelty-free world. I do not believe that you need to test on animals for makeup. There are more accurate tests that can be done with human skin cells, for example. L’Oreal has been the world leader in developing alternatives to animal testing, which I know will shock people. You can read about some alternatives at Cosmetics Design Europe. What do you think about the Changes to China’s Animal Testing Policy? Is Too Faced Cosmetics Cruelty Free? It makes me proud to be Australian, thank goodness at least one country is making a positive stand on animal testing for beauty products. It is totally unnecessary in this day and age. Thank you for the update Phyrra.